The Trump administration has announced that it’s ending temporary protected status for nearly 57,000 Hondurans living in the U.S. TPS gives legal status to migrants who are already in the U.S. when their country suffers a conflict or natural disaster. Here & Now‘s Jeremy Hobson discusses the decision and its potential impacts with Martin Pineda (@chevive91), an organizer with the Central American Resource Center, and Marta Connor, a TPS holder from Honduras living in Southern California. Marta Connor: “It means for me, separation of families. All those families, they have their children here, some of them even have grandchildren. And that means separation. MP: “After 20 years, there’s nothing temporary about it, I would say. I mean, there’s a lot of different conditions why TPS was created. I mean, you could say it was the natural disasters, but the conditions in Central America have never been good. 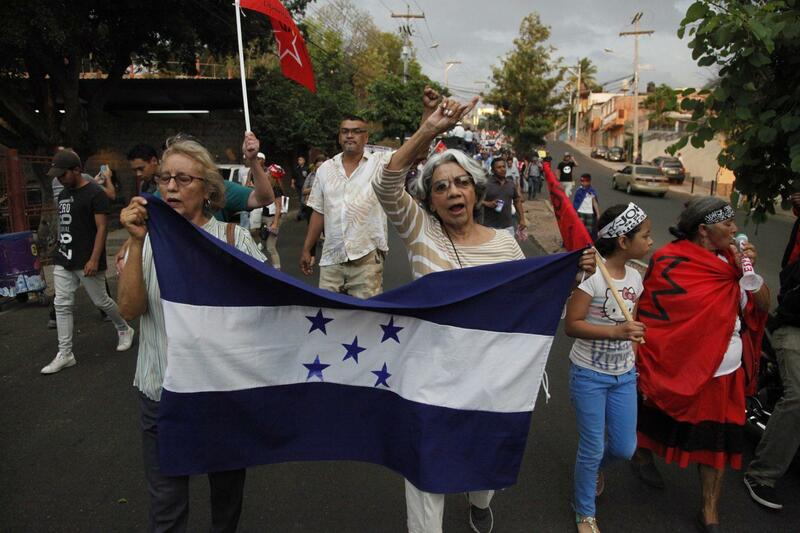 There’s always been instability to this day and age in Honduras, as conditions have only gotten worse. There’s political unrest, there’s human rights violations every day, and particularly the Salvadoran community who fled the civil war and were seeking political asylum, many were denied. And I mean, there’s a lot of U.S. intervention in these countries that caused a lot of the conditions why people leave.